Okay, the whatsapp business version for android has been around for a few weeks now, and since then, i've been making use of it on my smart phone, so that i can get to know the do(s) and don't(s) that comes with the app, and i must confess, it is a very good, nice and productive app that WhatsApp Inc. has created. 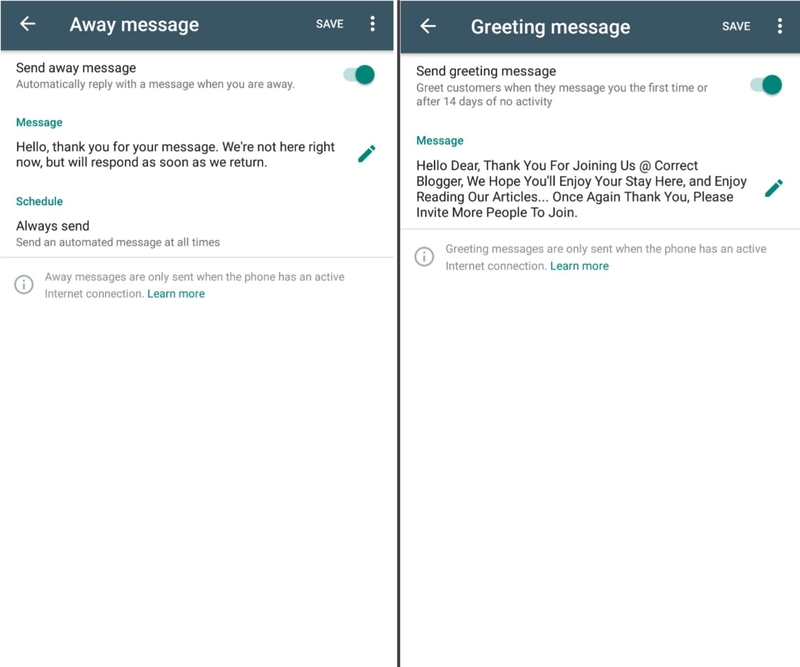 So here is everything that we've found out while using the app, and as well as everything you need to know, about the whatsapp business android app. 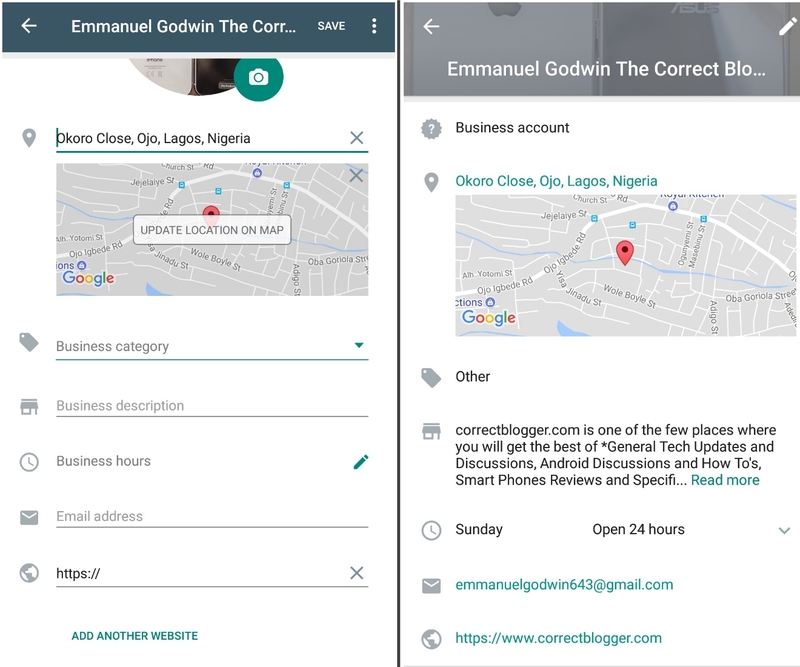 Now for those who don't know, the whatsapp business app, is still more of the regular version of whatsapp, but comes equipped with a handful of some newly added features, that aims to help business owners to easily get in quick touch with their clients or customers, since whatsapp is one of the biggest social media and instant messaging platforms (that is, if not already the biggest), then there's no doubt, this will be one of the biggest means for both small and large business owners to converse with their varying number of customers at any time, and at any place.. 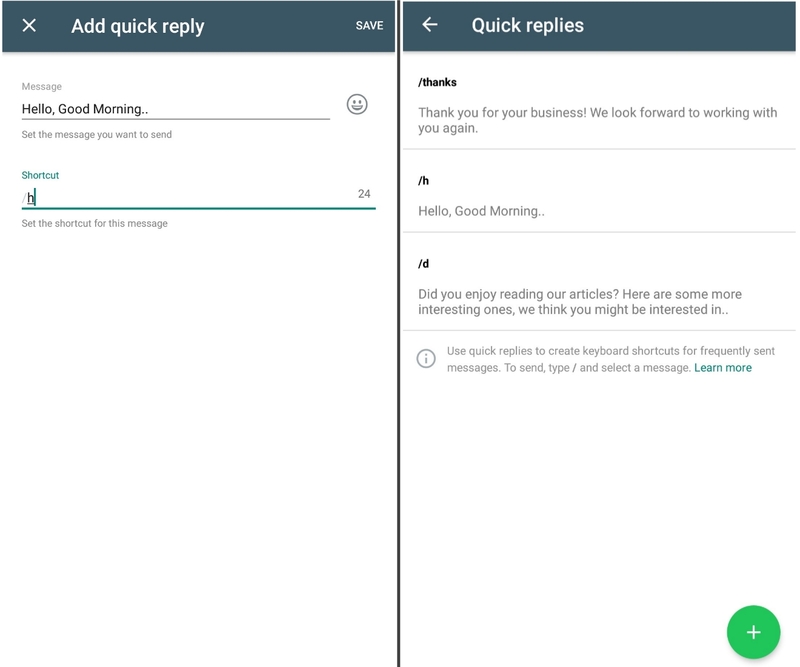 So below are the features of the whatsapp business app, listed one after the other, with their varying functions. Read Also - List Of Devices That Won't Be Supporting Whatsapp From Dec 31st 2017, and In The Coming Months Of 2018. So the first thing we noticed while opening the app for the first time, was that it allows you to create a business name for yourself, which cannot be changed (one down-side already), unlike the one found on the regular version, which you can decide to change at anytime, and at anyday. This might be a turn off for some people already, but probably not a turn off for those, who really mean business. Apart from the business naming feature, the app also comes with some handy options to help you describe your business more easily to your customers... On the app settings menu, you can put down your business address, or simply select the location on the already provided map, you can select a category for your kind of business (there are a handful of them), write a short description of what your business is all about, tell people about your business opening and closing hours for each day, or the week as a whole, provide an email address, and a web address for it. (that is, if you have one already). Still on the whatsapp business thing, you are as well given a list of features called "messaging tools", to make your messages or chats look, feel and sound more business like. There's the "Away message", that sends back a quick automated message to a customer, whenever you're away or simply offline to reply their messages. Then there is the "Greeting message", that automatically sends an already composed message to people who are sending you a message for the very first time. note - that these messages can be anything you want them to be, and can be changed or edited at any time. this applies to both the away and greeting messages. Then lastly, we have the "Quick replies", that lets you to create keyboard shortcuts for any kind of message, but will be used mostly for frequently sent messages. In simple terms, this simply means you can compose a thank you message for your customers, for a business well-done, add a keyboard shortcut to that message, so whenever you have to send such messages to anyone, just enter the keyboard shortcut, and voila, it is done.. it simply saves you the stress of starting all over again to compose the same message, for different people, at different times. cool right? Okay sorry i said lastly in the last paragraph before this, this actually is lastly. Now this feature is a kind of hidden, and it is called the "Label" features. What it does is that, it helps you group your customers into different categories called labels, so that you can easily locate who you're looking for, in case you have a lot of people in your contacts list. 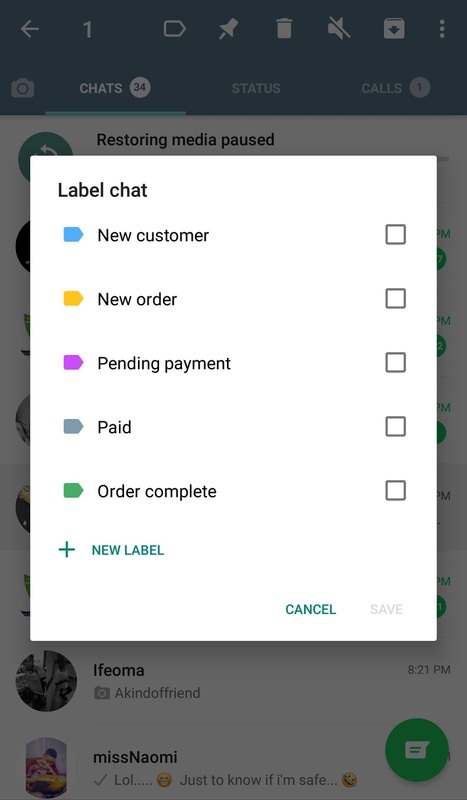 The default labels that comes with the app includes; The New Customers Label, New order, Pending Payment, Paid, and Order complete. cool right... yea very cool.. and don't forget that you can as well add your own custom labels, if the need arises. So guys, those are all what we've known so far about the whatsapp business app. For those who wants to maintain a smooth contact with their customers, we are recommending this app for you. 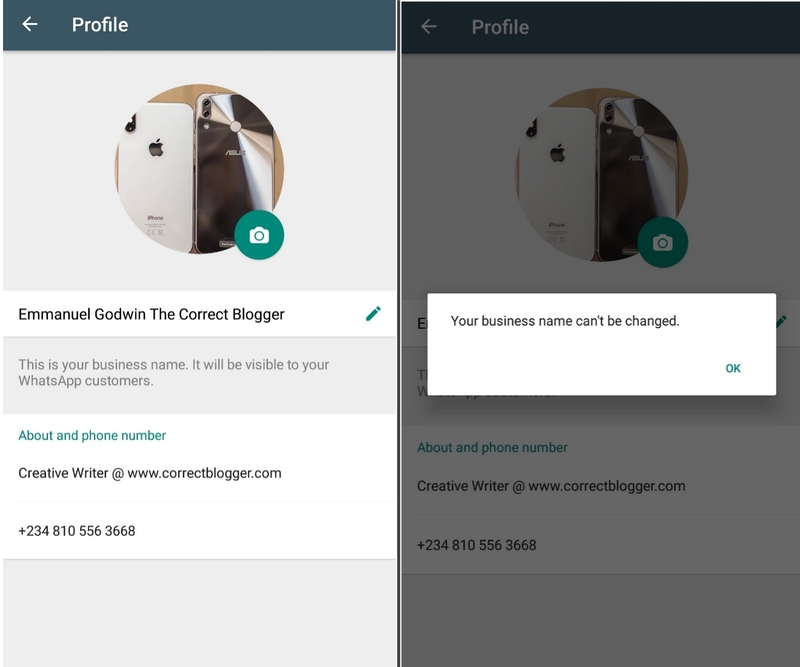 Since a lot of people have already known whatsapp, and what it is used for, then it shouldn't be hard for them to contact you through the business app... we hope more features will be added to the app in coming updates, to make things look more professional, for example the ability to change your business name if the need ever arises. 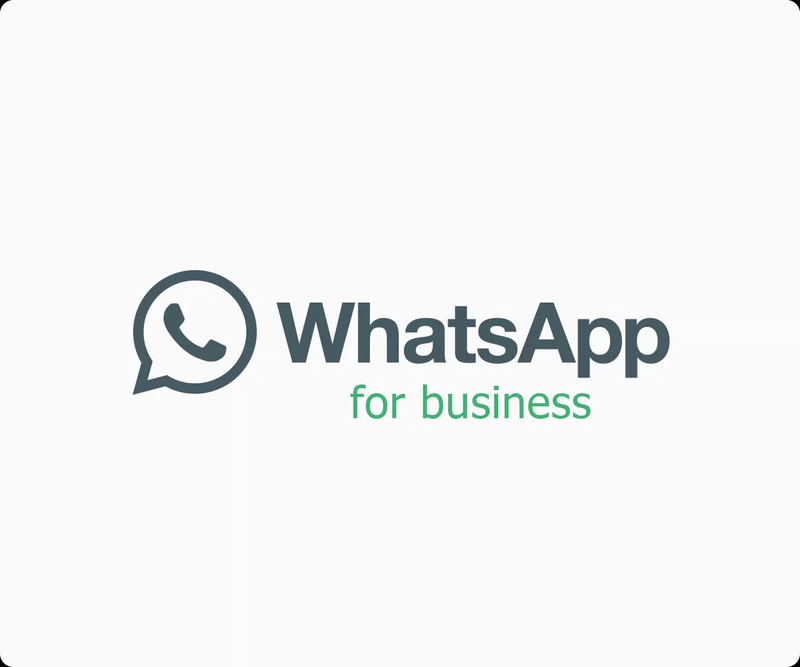 So over to you guys, tell us what you think about the whatsapp business app, tell us what you like about it, as well as those features you think that turns you off. And then also share your experience with us, if you've been using the app before now.. Have a very nice day.